Hanoi (VNA) - Carmakers of the Republic of Korea (RoK) posted lackluster profitability over the first half of 2017, falling far behind major overseas rivals, the Yonhap news agency reported. Top carmaker Hyundai Motor Co.'s first-half operating margin was 5.4 percent, down 1.2 percentage points from a year earlier. Its sister company Kia Motors Inc. also posted a margin of 3 percent, down 2.2 percentage points on-year. In terms of the operating margin, Hyundai Motor moved down four notches over the cited period to be ranked at the ninth place among 12 major carmakers in a survey by Hana Financial Investment. Kia Motors was placed at the bottom of the list, down from the eighth place posted last year. Industry watchers said the falling profits are attributable to increased marketing expenditures and the latest diplomatic tension between Seoul and Beijing, which led to a decrease in their sales in Asia's No. 1 economy. 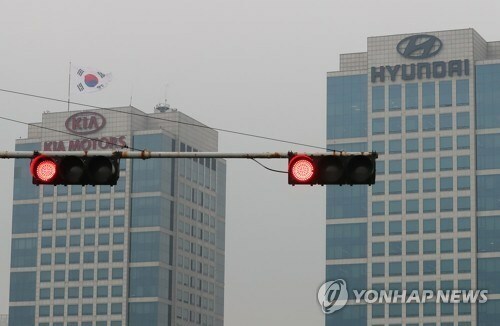 To revitalise growth, Hyundai and Kia need to expand research and development to reduce production costs and increase competitiveness, they added.